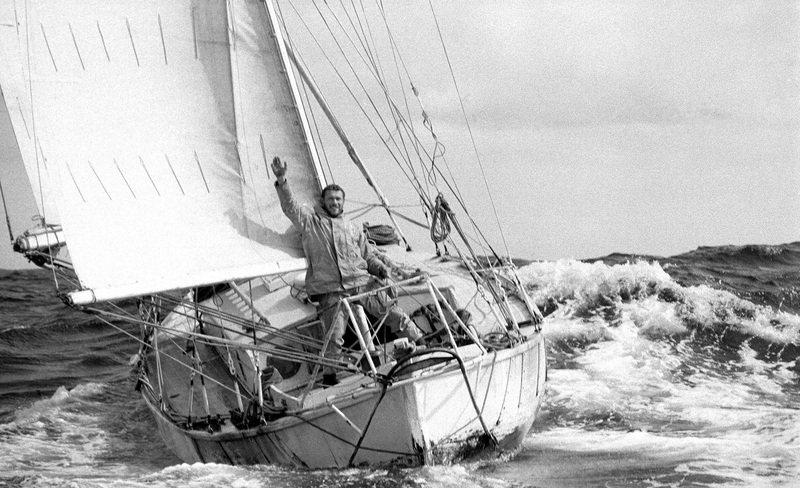 22 April, 2019, marks an astounding 50 years since Sir Robin Knox-Johnston, and his yacht, Suhaili, returned to Falmouth after an epic 312 days at sea in the Sunday Times Golden Globe Race, securing him in global history as the first person to sail solo, non-stop around the world. A personal quest, inspired by Sir Francis Chichester’s single-stop circumnavigation in 1967, Robin faced many challenges along his journey. Despite Robin being a master mariner with over a decade of experience in the Merchant Navy and the Royal Navy Reserves, Robin was underestimated due to his understated, humble manner and was very much overlooked as an underdog in lead up to the race. He received no sponsorship as a result and went to sea with only the most important gear, provisions, and clothing, which included two pairs of foulies, one pair of wellies, one set of naval working gear and one sweater. From raising his own funds and building his own yacht, to facing 80-foot waves in the remote Southern Ocean, battling appendicitis, carrying out repairs in shark infested waters, and eventually losing all radio contact. Robin was feared lost at sea for over four months, until spotted by a British tanker vessel in the Atlantic on Easter Saturday, 5 April 1969, just weeks from the finish line. Robin’s eventual success in that race, against all odds, has been well documented since. It undoubtedly changed the course of his life, and thousands more, forever. Not content with circumnavigating once, Robin went on to complete three further round the world journeys and has helped many more people to achieve this feat over the past 23 years spent running the Clipper Race. Through the Clipper Round the World Yacht Race he has introduced thousands of people to the world of sailing and trained them to become ocean racers. A story of one-man’s determination, mettle and fortitude, to ignore the naysayers and achieve his dream, not only for himself, but an event that inspired a nation, and later a generation of people around the world to rise to the challenge. In celebration of his pioneering achievement in global sailing and adventure history, which took place during the year of the first moon landing; a programme of public celebration events will take place over the Easter weekend in Falmouth, Cornwall. These plans include a special parade of sail on Monday 22 April during which Sir Robin and Suhaili, recently hand restored to her former glory, escorted by a flotilla of supporting vessels, will recreate the historic moment they crossed the finish line, and returned home. Throngs of people are expected to join in as well-wishers are invited to join them on the water or to watch from land. The National Maritime Museum Cornwall is staging an exhibition throughout the summer, exhibiting items and photographs from Sir Robin’s personal collection, many which have never been shown in public before. Join Sir Robin, and supporting vessels including Alec Rose’s Lively Lady, as he departs his home port to sail Suhaili to start the celebrations in Falmouth. Sir Robin and Suhaili arrive to Falmouth with escorting flotilla. Bronze footprint cast unveiled in the marina to mark Robin’s first steps back to land. 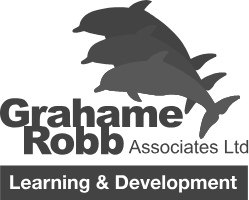 “In Conversation with Sir Robin Knox-Johnston and Mike Golding OBE.” Unmissable opportunity to hear Sir Robin giving first-hand accounts of his epic voyage to one of the world’s most accomplished offshore sailors. The event will close with Robin revealing his personal report into the latest Golden Globe Race. On the water spectacle involving Sir Robin and Suhaili, plus a flotilla of supporting vessels to re-enact the exact time (1525) Robin crossed the finish line and returned home. Supporting vessels are welcome to join Sir Robin and Suhaili on the water, or alternatively you can view the parade from the land, Pendennis being a great spot. Book Signing with Sir Robin of his new autobiography 'Running Free'. Look out for information on the upcoming Sir Robin Knox-Johnston documentary on the Clipper Race channels. In the meantime, you can catch up with when he relived his historic voyage of 1969, for Radio 4, Sailing Into History, on BBC iPlayer now.